Assateague Island along with Chincoteague is part of a chain of barrier islands along Southern Maryland & Northern Virginia. Famed as a haven for the Wild Ponies, Assateague acts as a National Wildlife Refuge hosting millions of migrating waterfowl & boasting of one of the East Coast's best beaches. This gallery depicts many of the best scenes likely to be encountered there. Enjoy the "view"... Like the other galleries on this site, these are high resolution photos suitable for framing, book & magazine illustration and digital use. For the best resolution, always view the galleries as a slideshow by clicking that tab on the upper right in each gallery. Once the slideshow opens, choose the speed at which you'd like to see it by clicking the tab in the upper left. Contact me at 973-650-7465 for all comments or inquiries. Thanks! 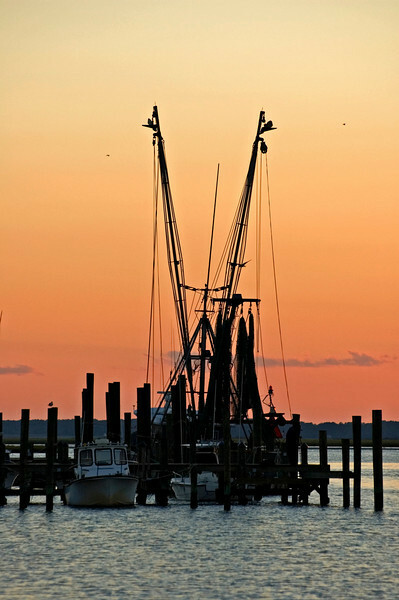 Chincoteague still harbors commercial fishing boats.